To turn on Pending Approval, first navigate to your program. Under the Round Settings drop down menu, click Advanced. 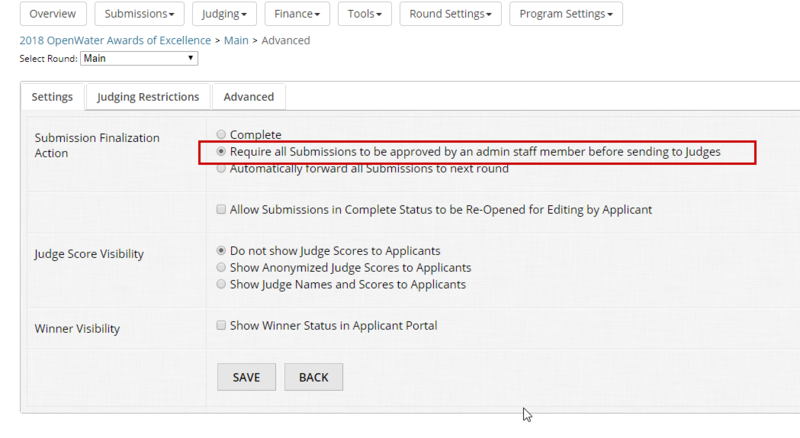 Select Require all Submissions to be approved by an admin staff member before sending to Judges and click Save. There are two ways to mark submissions as approved. One at a time while viewing the submission or in bulk. Both approaches require that you View Pending Review submissions. Select the submission you want to review. Tab over to Status: Pending Approval and change the status to Complete and click Save. 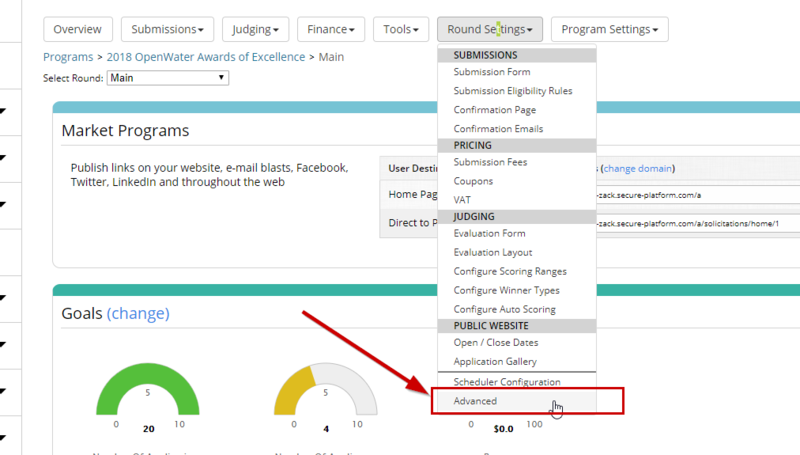 On the list view, select which submissions you want to approve by clicking the checkboxes and then click the Bulk Actions button. Click Mark as Approved and then OK.